Eat, drink and party all under one roof, over four floors at Hudson House. Inspired by New York’s spirit of fun and indulgence, step inside a warm, uplifting and inspired ambience where the emphasis is on approachable and unpretentious precision, delivered with balance and honesty. The New York philosophy is at the heart of Hudson House from the interior furnishings to our concept menu and service delivery. Our dedication to customer service and our enthusiasm for great food, ensures that every time you visit us you’ll experience the true essence of the New York lifestyle; the food, the culture and most importantly the passion of the people. 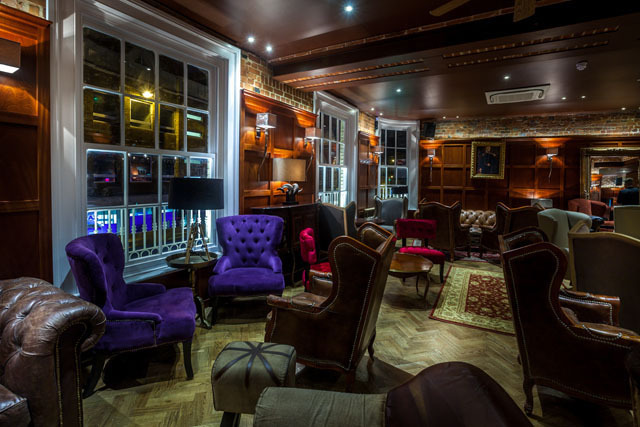 For a night out in Colchester that’s all about eating, drinking and partying until the small hours, Hudson House is a playground for the like-minded. 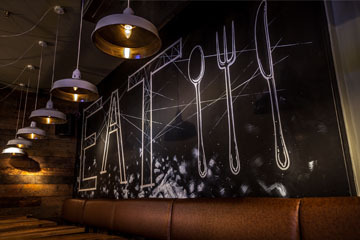 When it comes to a big night out we’re famed for our reputation as the venue of choice, drawing a vibrant crowd with our laid back and sophisticated atmosphere. We also have a selection of exclusive packages with premium drinks, table reservation in the Hudson Library and fast track entry for the ultimate VIP night! 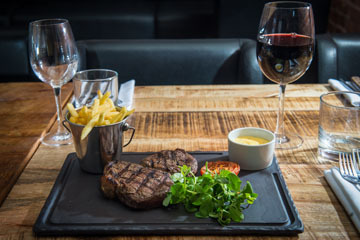 Begin your evening with a delicious meal in our top floor restaurant Steak etc. 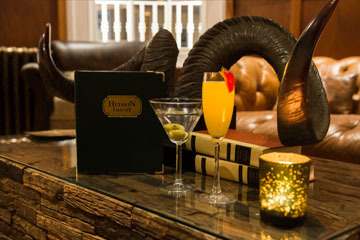 followed by your favourite tipple and a cocktail perfectly shaken by our master mixologists in our gin-themed lounge, the Hudson Library. When you’re ready to party the night away make your way down to Hudson Bar and Hudson Cellar below, where the drinks will be flowing and our resident DJs will keep you on your dancing feet all night.